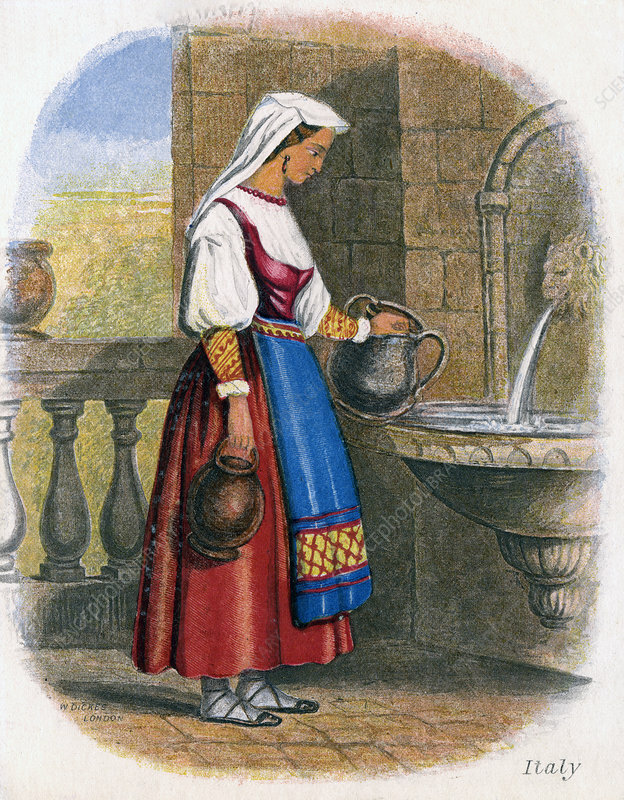 Italian woman collecting water', 1809. In this picture a woman is seen filling her pitcher at one of those water fountains which are the favourite resort of the people in Italy. Artist: W Dickes.